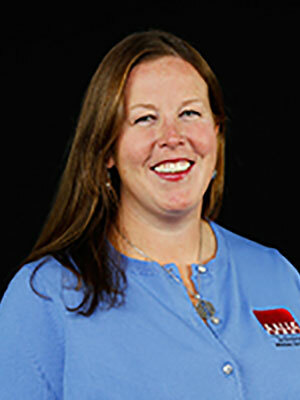 Jessie Loberg is a veterinary practice consultant for the American Animal Hospital Association. Prior to becoming a practice consultant, she was a faculty instructor at Bel-Rea Institute of Veterinary Technology where she taught equine courses as well as a variety of small animal medicine courses. Jessie began her career working at Littleton Equine Medical Center for 7 years where she spent most of her time as an imaging and anesthesia technician. Jessie was on the organizing committee and was a charter member of the Academy of Equine Veterinary Nursing Technicians, which is the VTS-EVN specialty. She is is on the advisory board for the AEVNT along with the AAEVT, and currently serves as the AEVNT's executive director. Jessie has given several equine nursing lectures throughout North America. In her free time, she can be found hiking, mountain biking, skiing or camping. The options for treating lameness horses have grown immensely in recent years. As a young rider, I remember hearing that if your horse becomes lame, or worse, breaks a leg, the only option is to shoot it. You can imagine as a horse owner, that is a scary thought. Today, unfortunately, horses are still euthanized due to lameness or breakdown injuries, but the options for treatment are greatly improved. In this section, we will discuss the following commonly used treatments of lameness: rest, corrective trimming and shoeing, non-steroidal anti-inflammatory drugs, regenerative therapies and nutraceutical therapies.